PACIA has released a comprehensive analysis report that studies the impact of the unprecedented changes in Australia’s gas market on industry. 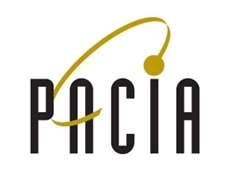 The Plastics and Chemicals Industries Association (PACIA) has welcomed the Federal Government’s deregulation agenda. Sam Bastounas has been elected the new President of the Board of the Plastics and Chemicals Industries Association (PACIA). In November, plastics industry representatives from around the world met in Dubai, aiming to come up with a global action plan for solutions on marine litter. The plan set out actions to be taken and progress to be reported by signatories in 2012. To this point, about a hundred projects have been planned. They will take place in 32 countries. In addition, there are a number of global activities which will be supported by all signatories. A website, www.marinelittersolutions.org has been launched to detail the progress of these efforts by the plastics industry. Margaret Donnan, Chief Executive of the Plastics and Chemicals Industries Association (PACIA ), described the meeting as a step forward in global efforts to control marine litter. 54 plastics industry associations, including PACIA, have now adopted the "Declaration for solutions on marine litter”. The declaration sets out a 6 point strategy for industry action. It advocates close cooperation between a large number of stakeholders to come up with solutions for the marine environment. It is hoped that these projects will act as a catalyst for further actions in other regions. In addition, the industry is partnering with The Joint Group of Experts on the Scientific Aspects of Marine Environmental Protection (GESAMP). This is an advisory body to the UN on the scientific aspects of marine environmental protection.